Na Gómez-Acebo & Pombo combinamos a excelência da prática jurídica e da advocacia com um princípio que temos mantido ao longo da nossa história: o valor nasce das pessoas e para as pessoas, que são a inspiração e o impulso para melhorar a cada dia. Somos uma equipa comprometida que soluciona os desafios jurídicos das empresas e entende a advocacia de negócios de forma diferente, em que o critério e a inovação se unem para tornar possíveis os seus objetivos. Fernando Pombo (1943-2011), natural de Santander e presidente da Sociedade até ao seu falecimento, estudou Filosofia e Direito nas Universidades de Oviedo e Complutense de Madrid (1965) e finalizou o doutoramento em Genebra no Instituto Max Planck de Munique. Envolveu-se muito ativamente, desde a sua juventude, na IBA (International Bar Association). Após mais de 25 anos a desempenhar funções executivas no seio da organização, foi nomeado presidente da mesma (biénio 2007-2008). 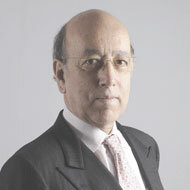 Recebeu a Grande Cruz do Mérito ao Serviço da Advocacia (2005), a Medalha de Honra do Ilustre Colegio de Abogados de Madrid (2008) e de Barcelona (2009), entre muitos outros reconhecimentos pelo seu percurso profissional e pelo seu trabalho na promoção da advocacia no âmbito internacional. 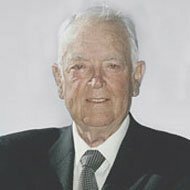 Ignacio Gómez-Acebo, Duque de Estrada, (1932-2011), foi presidente honorário da Sociedade até ao seu falecimento. Licenciado em Direito pela Universidade Complutense de Madrid e pela Universidade de Salamanca, iniciou a sua carreira profissional trabalhando na especializada agência de propriedade industrial Clarke, Modet & Co.
Foi impulsionador da reestruturação e modernização da empresa espanhola e fomentou a instalação em Espanha de grandes multinacionais. Fundou, ainda, a Universidade San Pablo, foi patrono da Comissão Permanente da Biblioteca Nacional e presidente do European Advisory Committee do New York Stock Exchange. Ao longo da sua vasta carreira profissional foi distinguido com a Grande Cruz do Mérito Civil, sendo Oficial da Ordem do Império Britânico e Cavaleiro da Ordem do Leão da Finlândia. Contamos com um vasto reconhecimento nacional e internacional dos nossos serviços jurídicos, de gestão, de serviço ao cliente, de inovação e excelência técnica. Representamos empresas com cotação nos principais mercados de valores dos seus respetivos países. "brings a lot of value"
"very detail-oriented, very precise in her work and extremely intelligent." «Miguel Lamo (…) is "superb"». "He is really hard working, client-focused and very bright." "As well as being a great deal closer, he's a tireless worker". "He builds trust and is very pleasant to work with, which gives him better negotiating leverage"
"lead on any multidisciplinary issue in the renewable energy sector." "an excellent litigator". "He is open, inspires confidence and brings solutions"
"He is a gentleman of incredible prestige and a leading light of the Spanish IP market"
"really precise and attentive to our needs"
"technically very good, with a lot of experience and a lot of common sense." "very nice to work with and a good negotiator"
"Always being available, having a lot of common sense and really adding value" "He is extremely intelligent, passionate and dedicates his all to solving his client’s issues"
"Knowledgeable, thoughtful and extremely client-oriented in terms of meeting deadlines"
"He is very responsive and helpful, working easily across different countries and languages"
“He combines the strong skills of a good criminal lawyer with two other strengths: knowledge of how administrations function and a great ease of interlocution"
"He has excellent technical knowledge but also has the ability to strategise and deliver that knowledge in a way that is practical and fits what the client is looking for"
"A magnificent lawyer for water matters" with "a wealth of experience"
Her "ability to understand clients' needs and problems, in-depth knowledge of climate change issues and practical approach"
"Practical application of the law, knowledge of the legislation and international expertise"
"She is responsive to our requests, is courteous and provides relevant feedback"
His "practical focus and ability to measure problems and find the easiest solution, even to complex issues"
"He is really familiar with all aspects of public law and its peculiarities in Spain"
"She is meticulous and customer oriented" "Her ability to search for solutions to the different incidents that arise"
"A very important figure in the market"
"Pragmatic and very knowledgeable about the real estate business and knows the market, which is good because he knows the other parties and has good relationships with them"
"Good technical expertise and incredible commercial instincts"
"Ability to negotiate and his client-handling skills" "It is easy to contact him and he is polite and friendly"
"Really knows the technical side of restructurings and also understands the commercial side, so he brings a really good mix between technical know-how and commercial acumen"
"Skilled, dedicated and has excellent client-handling skills"
"She speaks German and English as well as Spanish, so it is very easy to communicate with her"
"She is well prepared, speaks well and is enthusiastic," says one peer, adding: "In court she is to the point and easy to understand"
"The most important thing is that he's very commercial and he understands the business"
"A good combination of someone who knows the technicalities of the law but is also quite commercial"
Mónica Weimann Gómez heads both the London office and the firm's German desk. She receives significant praise from clients for her skilled handling of complex cross-border mandates, particularly in the life sciences and retail sectors. Heads the German desk due to her experience in Spanish-German cross-border transactions. "Good technical knowledge and sound advice" highlighting his "understanding of current issues"
"A very commercial lawyer" "Strategic and big-picture oversight"
"He definitely knows the business and not only the technicalities of the law. He always gives a lot of input on the business side and he really tries for his clients"
Clients praise "her ability to evaluate and identify risks as well as establishing mechanisms to deal with them"
“Is highlighted for his "knowledge of public contracting." 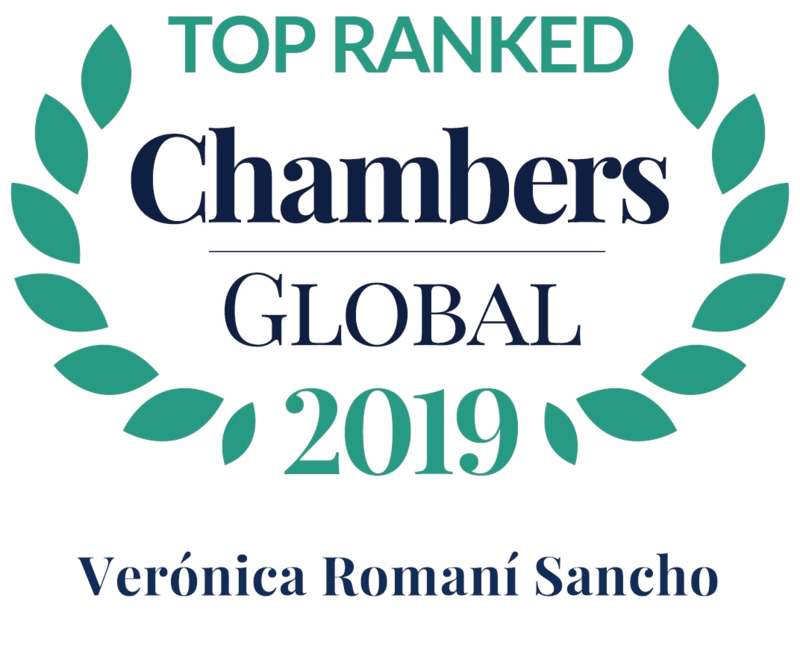 "Great sense of pragmatism, availability and command of the relevant legislation"
Expert Guides – Women in Business Law: Tecnology, Media and Telecommunications 2018. “The lawyers carry out their work conscientiously and quickly"
"They are reliable, have empathy with clients and are dedicated"
"They understand the peculiarities of our company very well and provide a tailor-made approach that helps us reach sensible and cost-effective solutions to problems"
"Great availability and excellent personal treatment"
"Very responsive to enquiries, whether deal-specific or general questions"
"They definitely understand our business and what we are trying to achieve. They are also very good at working on cross-border transactions and are good co-ordinators when multiple firms in different countries are working on a transaction"
"They were very commercial and easy to talk to. They worked really hard because the work had to be executed in a short space of time"
"The team can adapt to complicated situations". "The lawyers' knowledge of the Spanish legislation is exhaustive, and they are able to make comparisons with regional legislation"
"Business-oriented, straightforward and strategic" "They are flexible and passionate about breakthrough projects but also rigorous on daily matters" "Well prepared and great professionals. Their main strength is the personalised treatment they can offer clients. I would highlight their professionalism and their preparation"
"Capacity for multidisciplinary work across different departments, resulting in a global understanding of various different areas of law"
"The firm has very good experience in life sciences"
"A very qualified team with wide experience and great service"
"Excellent understanding and articulation of the technical aspects of the nitty gritty of the judicial process"
"They are a perfect combination of being quick with work and transmitting a lot of confidence." "Their performance is good and they are very attentive towards us." Clients describe the firm as the "benchmark in the sector" and add: "Obviously the quality of the firm is high in terms of the quality of the lawyers and their effectiveness, flexibility and immediate attention". Interviewees highlight "the interest the firm has in knowing what each client needs," adding: "They know how we work and what we expect from them – it is a pleasure for us as clients". 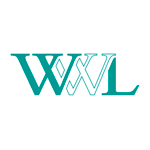 Peers and clients recognise this firm as the leader in waste matters. Clients say: "Waste is an area they understand very well and this makes them unique". "The team has a high technical capacity, and was able to use innovative arguments to defend our interests". "The team is agile, efficient and respectful of deadlines". "They are extremely well organised, responsive and really to the point. They have a great combination of economic understanding and legal profundity". 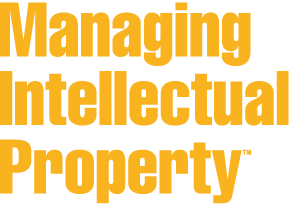 The firm has "a very large team that is very good for patent litigation"
The team is "extremely professional, very responsive and creative." "I think the service is very good, they are flexible and they respond quickly." 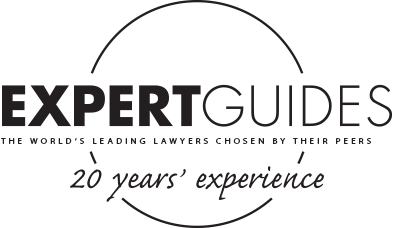 "They are efficient lawyers who know how to separate the important points from the irrelevant" Interviewees also highlight the lawyers' "strong technical knowledge, relevant and recent experience" and their ability to establish an "easy working relationship." "They feel like a friend or a business partner and come to me to check things that I hadn't thought about"
The team "comes up with efficient and imaginative solutions to the problems we send their way" "When we have a serious issue, we go to Gómez-Acebo & Pombo"
"They're extremely commercially minded, really understand the business heart of a deal and are focused on the legal practicalities of a case". The team is "strong and has good experience". British Legal Awards – Highly Commended 2016. IFLR 1000 – Financial and corporate – 2016 2016. 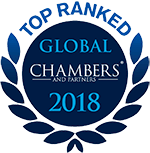 Clients consider the firm "successful" in many aspects, while peers praise its "great efforts" and the fact that it has "both very good senior associates and motivated junior lawyers". José Miguel Lissén is recognised for his "deep knowledge of procedural matters before Spanish courts". "It has a strong local knowledge and the key partners always made themselves available; there was lots of face time, practical advice and help in negotiating the deal." "The firm offers a full service and the relationship between quality and price is one of its principal virtues." "The lawyers are responsive, cost-effective and technically excellent." "The lawyers have a deep understanding of the judiciary and of what works in front of particular judges in Madrid." "I think very highly of Gómez-Acebo & Pombo. The team has been responsive and has demonstrated an unparalleled knowledge of locally applicable law and complex matters in the electricity sector." "The team is commercial and completely on the ball." "I think the firm is the best in terms of money. It is very flexible with the price, the offers it makes you are very reasonable and it is flexible to change things." "The lawyers are responsive in turning around communications and either answer directly or set up phone calls. Their advice is timely and practical." "I value the lawyers' ability to understand my business and to put themselves in my position in order to defend my company's interests. "The lawyers have strong commercial skills and the ability to negotiate and explain issues in English and Spanish." "The lawyers' preparation of meetings was well thought through and they had always come up with solutions beforehand." "The team is composed of high-level individuals who are always available." "The firm has always been very close to its clients. You always feel supported." "Lawyers need to have a very specialist knowledge for private equity and they are able to tell you exactly what the issues are." "The team is extremely responsive." "It has what you look for in a firm: practicality, defence of interest for the client and it's proactive in looking for solutions." "The firm is very dedicated to the deals, even if there's a high workload it always has enough resources to help us." "The lawyers are great experts in the field. They are operative and effective." "The attorneys have been fantastic. I find them responsive, creative and detail-oriented." "I value the firm greatly; it has been a key element in shaping the Central de Contratación since its inception, constantly proposing solutions and alternatives that improve its function and make it an attractive tool to use by as many local authorities as possible." "Apart from their very good knowledge, I value the availability of the lawyers and that they give you great responses." "The lawyers are fast, effective and have strong technical knowledge." "The firm provides the right person for each topic both inside and outside of sports law. All of the lawyers offer good availability and their responses are always quick." "The communication was good, quick and direct." "The lawyers have always been very available and have met stringent deadlines when needed." "The lawyers are really accurate with everything they do, they have international knowledge and their service is really good." "The co-ordination between the offices is smooth." Gómez-Acebo & Pombo Abogados fields a ‘reliable and experienced team which excels at understanding clients’ business needs’. Gómez-Acebo & Pombo Abogados has a strong eight-partner practice covering a wide range of domestic and international litigation and arbitration. "Gómez-Acebo & Pombo Abogados has a ‘top class’ disputes group led by Francisco Peña"
Gómez-Acebo & Pombo Abogados’ highly experienced three-partner team is a ‘leader in the environmental sector, especially in the area of waste and water’. The ‘legal soundness’ of the practice at Gómez-Acebo & Pombo Abogados is ‘second to none’. 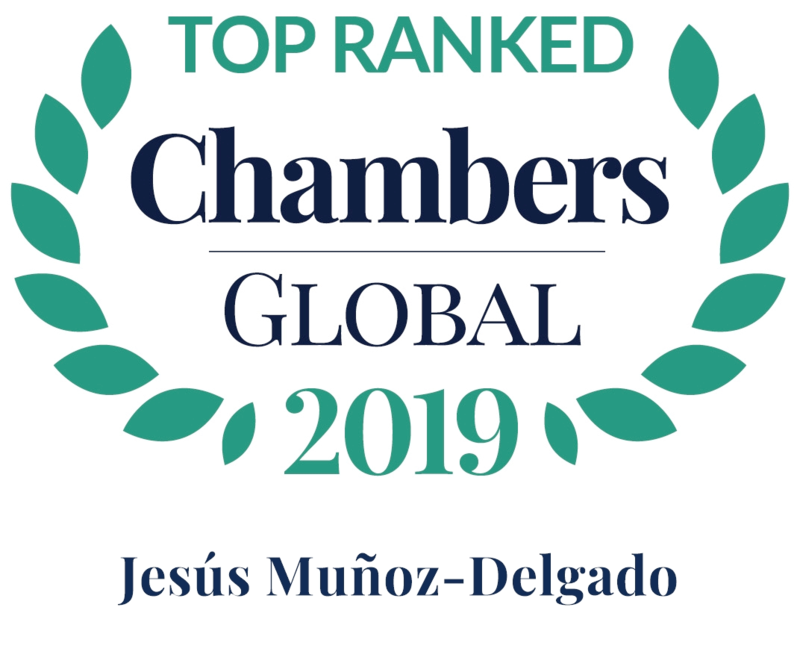 Gómez-Acebo & Pombo Abogados is recognised for its contentious and advisory capabilities. Gómez-Acebo & Pombo Abogados’ public law team is ‘well versed’ in public law matters, and works closely with the firm’s other departments to provide a complete service to clients. The real estate, property development and planning team at Gómez-Acebo & Pombo Abogados has an excellent track record in complex real estate transactions. 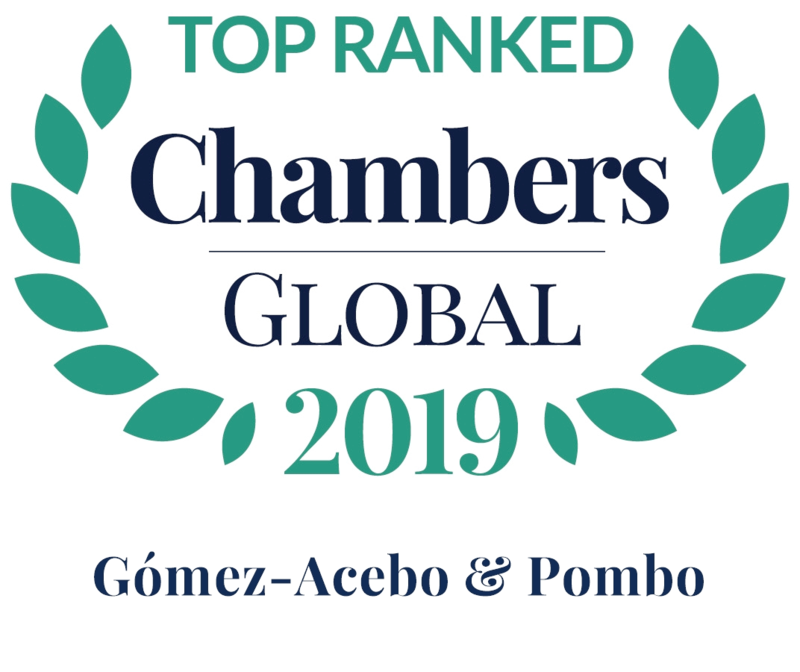 The team at Gómez-Acebo & Pombo Abogados is seen as ‘a boutique inside of a full-service firm’. Gómez-Acebo & Pombo Abogados fields one of the largest IP teams in the country, and is considered ‘a leading firm in the sector’; the 25-strong group handles some of the most significant trade mark and copyright mandates. 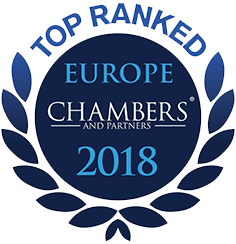 Chambers Europe – Leading firm – 2015 2015. Chambers Global – Leading firm – Top Ranked – 2015 2015. Innovative Lawyers – Award nominee – 2015 2015. "The team is technically impeccable, with specialised expertise in many sectors." "The team mobilises all resources to give us the best service possible. The lawyers are very agile and proactive in proposing solutions." "A very experienced, agile and knowledgeable practice." "An extremely agile team that can adapt to client's needs; the lawyers gave first-class advice." "An excellent firm; the quality of its practical advice is just fantastic." "Services rendered have been outstanding- the team is available 24 hours a day and it shares our principles and values." "Gómez-Acebo offers close contact with a multidisciplinary team of the very highest level." "The team really adjusts to our needs as a client; it is immensely flexible." "The lawyers have profound knowledge in civil construction and in management of public and private contracts in the construction sector." "The lawyers are very hard-working, practical and creative." "The team is very agile and has great technical ability." "The lawyers have good international contacts, can deliver in English and are really proactive." "One of the best firms for the capacities of individual partners and for the interaction between different departments; it can operate as a one-stop shop." "The lawyers are good technically and also from commercial point of view. They find the right balance of the two aspects and are good at finding solutions." 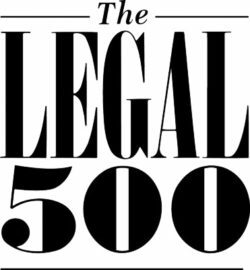 "The team is resourceful and able to select lawyers with the best skills for each issue." "The lawyers have a good knowledge of the issues at a legal level and know people in the administration and engineers, wich helps to resolve questions and clear doubts" "The firm is a pioneer in the Spanish market in environmental issues." "What I value is the great experience that the lawyers have and their specialisation in the egislation that affects my company". "The lawyers are well prepared and have a good understanding of the technical issues. They are proactive and make working in a team very easy." "The team provides valuable technical knowledge and precision in problem solving. Excellent response to urgent matters." "Excellent service, especially the lawyers' technical knowledge of planning law and strategic capacity as well as optimum availability and personalised service." "The team combines a great ability for negotiation with a fantastic capacity for work. Availability and speed are two of its main attributes." "The firm was able to put in place a fantastic team that worked day and night for a couple of weeks and we ended up with a smooth process in a multi-jurisdictional transaction." "The lawyers were not just pointing out the issues but were looking for the solution as to how to approach the matter. They were proactive and for me it was easy to get to the partners." "Highly experienced professionals; the resources they are able to dedicate to clients are just fantastic." "The team has greatcapacity in the sector and always looks for practical solutions for clients." "The team has total availability, provides very good advice and has full knowledge of the construction industry." 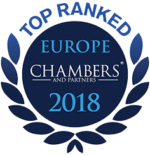 "The lawyers have impressed us at all levels: in terms of technical knowledge, fluency in foreign languages, availability, professionalism and organisation of services they are very good." "The lawyers impressed us with their personal approah and knowledge of the sector. We've made a great team with great synergy." "A commercial team that really goes above and beyond." "The team adapts very well to clients' needs; the lawyers have technical knowledge across different areas of law and are always available." "You can rely on the firm's network and local knowledge of processes and situations." "In Spanish insolvency law the lawyers con tell me in two lines what the key problems are." "My team really like the firm in terms of the alert notes it puts out for breaking legal developments in Spain"
"I have a very good opinion of the firm working on the finance side for Spanish banks - it is a reference in the sector and the lawyer are a pleasure to del with." "I have an excellent relationship with the firm and total confidence. If there is any doubt I can pick up the phone and put the question to the lawyers, so the relationship is comfortable and easy." "It's a firm that you can access with ease and the lawyers' response always comes at the right time." "The lawyers are very efficient; any time that we ask a question they always give a quick and valid answer." "The lawyers are commercial whilst understanding the risks." "A very professional team that impressed us throughout the whole process." "We like the lawyers' positive thinking. Ther are pro-business and that is good for us." Gómez-Acebo & Pombo Abogados excels in investment fund and acquisition finance matters. Gómez-Acebo & Pombo, which provides 'commerical and detailed advice'. Gómez-Acebo & Pombo Abogados has an excellent reputation for mid-market M&A and stands out for its 'excellent technical competency' and 'fantastic understanding of its clients businesses'. Gómez-Acebo & Pombo has a highly practical-minded and responsive team'. Pedro Poveda's team at Gómez-Acebo & Pombo Abogados is recommended because of its 'excellent service, response times and strength in depth'. Gómez-Acebo & Pombo Abogados´ team provides 'high quality, knowledgeable and practical advice'. 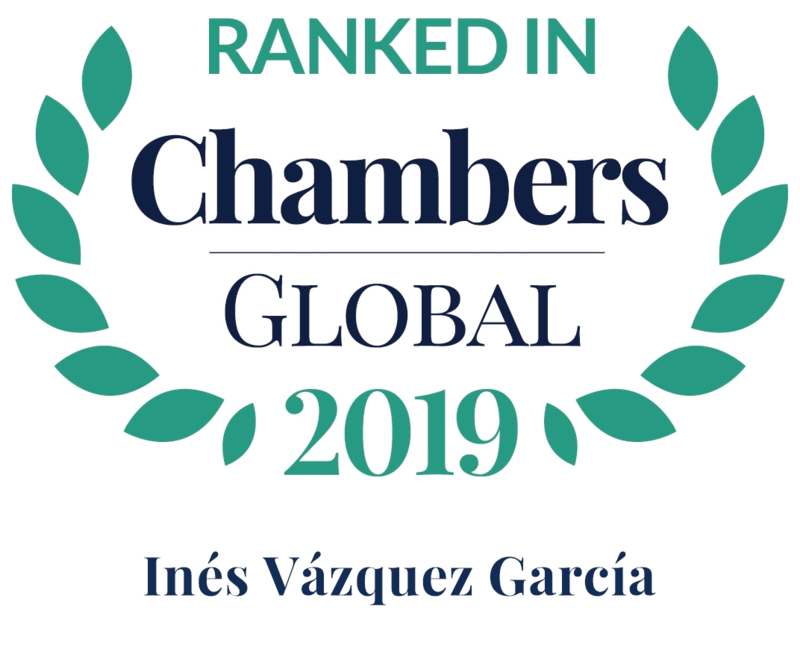 Gómez-Acebo & Pombo Abogados is highly regarded in the healthcare and life sciences sector, primarily thanks to its rounded IP expertise. Gómez-Acebo & Pombo Abogados' five-partner team is particularly renowed for its litigation capabilities. Gómez-Acebo & Pombo Abogados has the best energy team one can expect. Gómez-Acebo & Pombo Abogados' broad public law practice is 'excellent in every respect' and acts for clients in transactions, disputes and regulatory matters. Gómez-Acebo & Pombo has a strong regulatory practice and represents a relevant number of clients in the education sector. Gómez-Acebo & Pombo Abogados´ 'top level real estate team' has 'vast specialist knwoledge and experience'. Gómez-Acebo & Pombo Abogados is 'strong in terms of knowledge, response times and quality of advice', and has been busy with refinancings and debts restructurigns. Gómez-Acebo & Pombo Abogados has ’a client-focused approach' and 'solid industry knwoledge'. Gómez-Acebo & Pombo Abogados' 25-lawyer team has the firepower to handle some of the most significant trade mark matters in the market, both transactional and contentious.